With their sharp optics and natural color rendition the MINOX HG binoculars already rank in the top binocular engineering class. Now MINOX engineers have been able to extend the field of view by up to 15 %, demonstrating the latest technologies in the manufacturing of high quality binoculars. 'Made in Germany' at MINOX is a mark that stands for quality, precision and solidity and expresses our corporate philosophy. A guarantor of meticulous care and precision during the entire development and production process and of products that meet uncompromising demands. The HG binoculars deliver maximum performance in every discipline. For instance, the 21 layers of the M* multicoating and the silver-bearing Minobright reflection of the phase-corrected roof prisms. 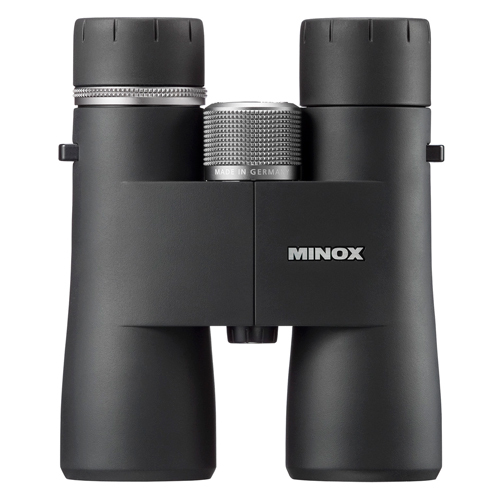 Excellent handling of the binoculars is made possible using the Quick-Close-Focus (QCF) feature developed by MINOX. Just a single turn of the focusing knob is enough to adjust a sharp image from infinity to close-up, enabling a very fast adjustment in the near-focus range and precision focusing at greater distances. 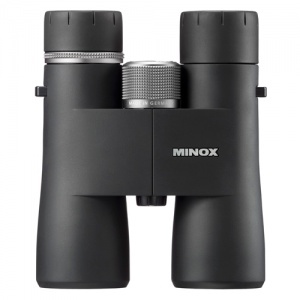 The MINOX HG 8x43 binoculars include a neoprene strap, rainguard, a soft case and a 30 year warranty.